Every week, there are a number of OPM artists premiering their songs on radio, on MYX and online. And although only a few will make it to the charts, releasing videos have become a must if you want to launch your music especially now that all can be shared real-time in various social network sites. The 2nd single from online heartthrob Kimpoy Feliciano’s self-titled debut album. It’s a rendition of the 1980’s hit song by Whistle. The song was #1 on 97.1 Brgy LS FM for the week of June 9 & 16, while it placed #2 on 95.5 Pinas FM last June 8 & 13. The music video also went #1 on Pinoy MYX Countdown. This is the latest single from Sponge Cola’s “District” album. Pick Your Poison was also used in GMA Films’ Metro Manila Film Festival entry “Sosy Problems”. One of the bands to watch this year from Bellhaus Music, Eleven O One’s original song “Kung Aaminin Ko Lamang” reached #10 on Tambayan 101.9’s Top 12 last June 15. The carrier single from World singing champion, Jed Madela’s first all-original album titled “All Original” under Star Records. The song which was launch early March peaked at #9 on Tambayan 101.9 prior to the release of the music video on YouTube. Click below for the full list. Check out the latest music videos from Will.I.Am, Justin Bieber, Alicia keys, David Guetta, Ciara, Chris Brown, Calvin Harris and J Cole. [SOURCE: Ivory Music And Video 2013 APR 17] — Every one of us has had his share of ecstasy and hurt brought about by that desire to be with someone. As they say, to love and to be loved gives the deepest of joys and at the same time, the saddest of pains. Silent Sanctuary sings about this bittersweet experience, and more. Writing based on their own encounters with love and thoughts of their experiences, their sound became more distinct as they fuse rock and classical instruments. The cello and violin, together with the guitar, and the bass and drums reverberates the stories of ex-lovers, and hopeless romantics, along with other stories we know of love. The guys of Silent Sanctuary never expected that their songs will be the anthem of many. Early in their musical career back at 2001, they started out with Goo Goo Doll songs as their main repertoire. Eventually, they started writing their own materials. The band went through line-up changes at the same time as finding their way around the scene and constantly improving and perfecting their craft. 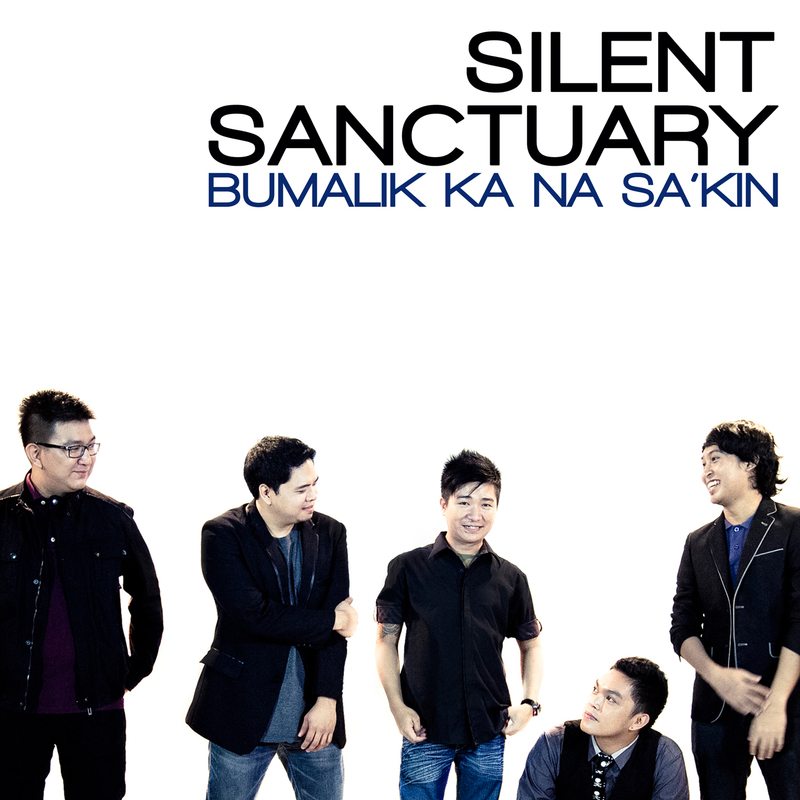 Silent Sanctuary landed a record deal 2006 and released two full-length studio albums – Fuschiang Pag-ibig and Mistaken for Granted; both spawned hits, which dominated radio, TV, online and various music charts, “Ikaw Lamang”, “Kundiman”, “Summer Song”, “Hiling”, “Hay Naku”, among others. Unreleased singles “14”, “Kismet”, and “Ingat Ka” received as much following as the released singles and are most requested during live performances and gigs. Now with their new home label, Ivory Music and Video, the band is set to release an EP album this June 2013. “Bumalik Ka Na Sa ‘Kin” the upcoming EP’s carrier single, gives us a sneak peak of what’s in-store for us. This upbeat pop rock song with a chorus that will leave you subconsciously humming because the melody and words stuck in your head, expresses an earnest desire to get back together with a significant other. [SOURCE: www.theavrillavignefoundation.org] — International pop superstar, Avril Lavigne, is set to return to the airwaves with her new single, “Here’s To Never Growing Up” releasing April 9 via Epic. The release marks her debut on Epic Records and subsequent reunion with her original mentor LA Reid. Recorded at Henson Studios and co-written with fiancé Chad Kroeger, Dave Hodges, Martin Johnson, and indie hip-hop sensation J.Kash, produced by Martin Johnson and mixed by multiple Grammy-winning hitmaker Serban Ghenea, “Here’s To Never Growing Up” personifies the party-like atmosphere that existed in the studio during the recording of Avril’s new album. “Here’s To Never Growing Up” will be the lead single to Avril’s upcoming 5th studio album and will be available at digital retailers everywhere. Celebrating the release Avril, fans were invited to star in the lyric video for “Here’s To Never Growing Up” on Facebook and on Avril’s officiate site splash page that drive back to Facebook using a groundbreaking app where fans submitted their own content from their computer. The app featured a very short clip of the track and participants can either upload photos of themselves with Avril and/or photos inspired by the title of the song, or they can sing-along the words to the song title and using the embedded video technology the app will capture and submit their clip. Avril Lavigne has made an indelible mark on the music community, selling more than 30 million albums worldwide, 8 Grammy nominations and the winner of 7 Canadian Juno Awards. She burst onto the music scene in 2002 with the critically acclaimed Let Go featuring the smash singles “Sk8r Boi” and “Complicated.” Her 2004 release, Under My Skin, debuted at #1 on the Billboard charts, as did her third album, The Best Damn Thing, which produced the irrepressible #1 single “Girlfriend” logging more than 198 million views on YouTube! Lavigne also wrote the song “Alice” for Tim Burton’s critically acclaimed Disney Film “Alice in Wonderland.” Lavigne’s fourth studio album, Goodbye Lullaby, featured the smash-hit singles “What The Hell,” and “Smile,” released in 2011 to critical acclaim. Outside the recording studio, Lavigne is continuously adding pieces to her lifestyle apparel brand, Abbey Dawn; has released three fragrances, Forbidden Rose, Black Star, and Wild Rose; and, in early 2010, Lavigne created The Avril Lavigne Foundation. The Avril Lavigne Foundation R.O.C.K.S. : Respect, Opportunity, Choices, Knowledge, and Strength in support of children and youth living with serious illnesses or disabilities by partnering with leading charitable organizations to design and deliver programs, raise awareness and mobilize support. To learn more, visit: www.theavrillavignefoundation.org.